There aren’t many people who don’t love a good barbecue, but so much of the process is antiquated. Why not spruce it up with a little bit of technology? We’ve gathered up 10 items that would thrill any tech lover to use the next time they fire up the grill. 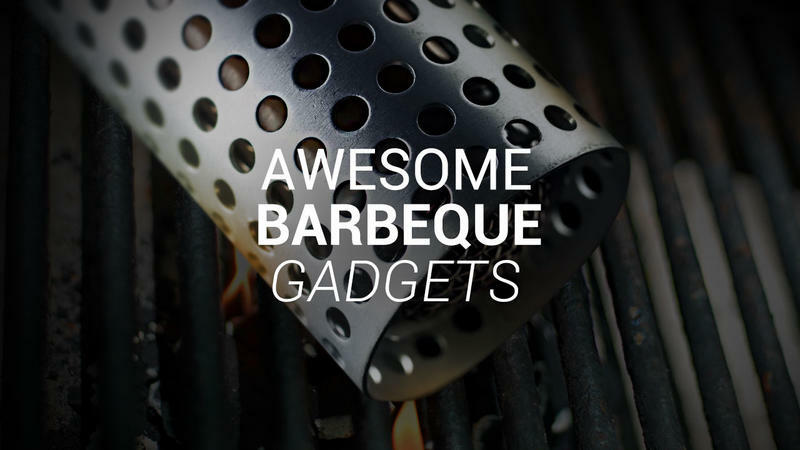 And if you aren’t already into tech, but you love a good BBQ, then these might just turn you into a tech aficionado when you see how much easier they make the process. Too much smoke coming off the grill? Maybe your cooking time took you into the night? 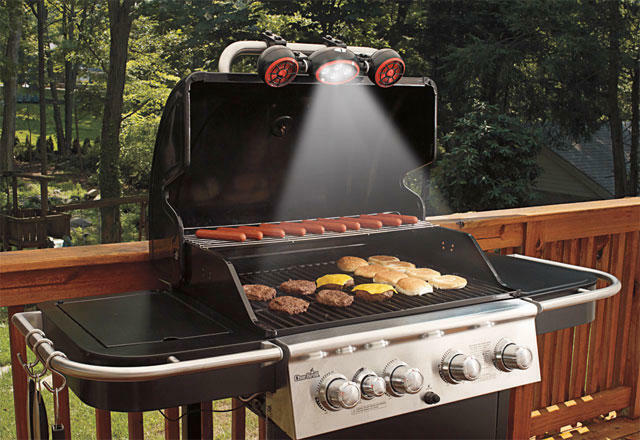 The BBQ Grill Light and Fan is the perfect accessory for you. This add-on for your cooker will not only blow the smoke away from you, but it will also light up your cooking area so you can see what you’re doing. The suggested retail price is a hefty $100, but you can find it as low as $60. Be warned, however, as it takes a whopping 8 AA batteries to power it. Hanging out next to the BBQ pit while the food cooks is so 20th century. 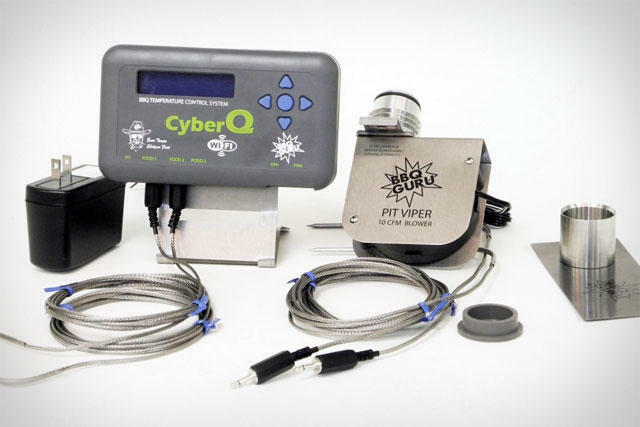 The CyberQ WiFi has one probe for the pit and three probes for food and thanks to the built-in Wi-Fi server, you can control everything from your mobile device or PC. It has tons of other features – and the price reflects that – but if hanging out by the pool with your family is more important, than this is the gadget for you. The CyberQ WiFi sells for $295 directly from the BBQ Guru. Messing with ice to keep your drinks cold during a BBQ is a hassle, and no one enjoys reaching in to the water to fish out the drink at the bottom. The FlipBox iceless cooler is the perfect solution to your needs. Available in two different sizes, this collapsable container can keep your cold items cool for up to six hours without the need for any ice. And as a bonus it can also keep warm food warm, just don’t mix the two. Price is $30 for standard size, and $60 for the XLarge. After that great BBQ is over, no one likes cleaning the grill. It’s tedious and annoying work, but perhaps some steam would help? The Grill Daddy Pro Grill Brush combines your traditional grill brush with a steam cleaner to help you get all of that baked-on food and grease out of the way that much faster. The Grill Daddy Pro Grill Brush has a suggested retail price of $25, but you can find it cheaper online. 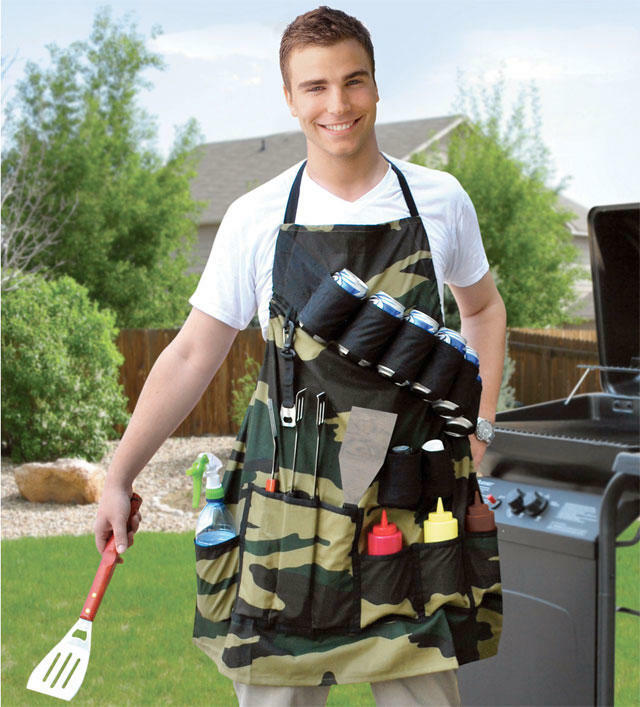 Perhaps there isn’t that much of a tech angle to this apron, but how can you not love this… insanity? Sure it’s nice to have everything within arm’s reach, but it also looks like a disaster waiting to happen as you will inevitable get caught up in it somehow. Not to mention how heavy it could end up being. We found prices all over the board for this creation, so just shop around. Perhaps steam cleaning your grill with the Grill Daddy is still too much work for you. Well, thank goodness we’re entering the age of robots! Thanks to the Grillbot you can just set it on the grill, turn it on, and let it do all of the work for you! 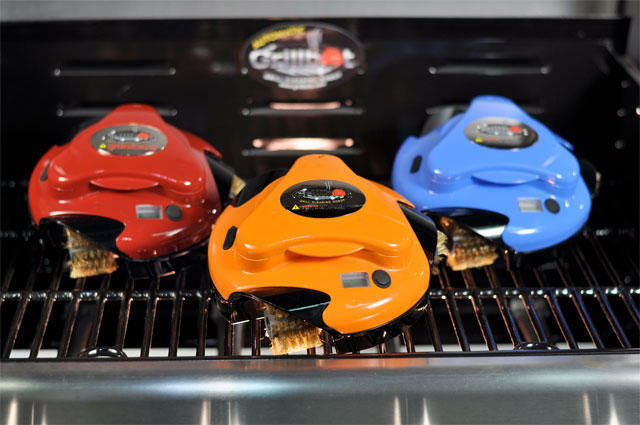 The Grillbot will be released in Sept. 2013 and will sell for $99.95. You can currently pre-order them in black, blue, orange or red at Grillbots.com. When you’re lounging by the pool – watching your CyberQ – and you left the drink cooler by the grill? Well, just pick up the remote and summon your cooler to you. 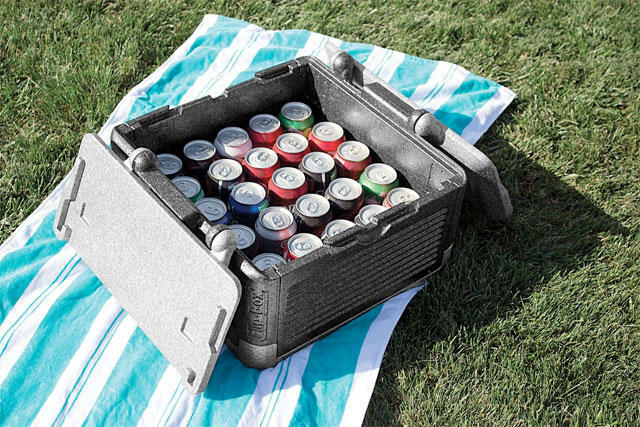 The RC cooler holds up to 12 beverages and keeps them ice cold. And when you aren’t using it, it collapses for easy storage. 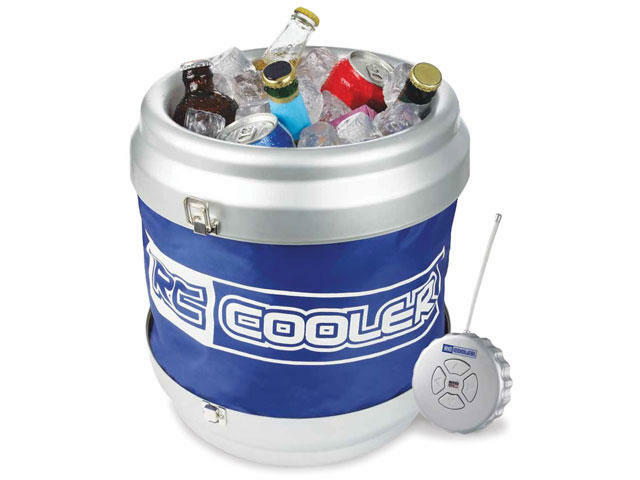 The RC Cooler has a suggested retail price of $99.95, but you can find it much cheaper online. Lighting your BBQ can be one of the most stressful portions of the entire process. You may go through a ton of matches and burn your fingers as you try to get it going, and the family gets hungrier and hungrier as you keep making attempts. The Looftlighter instructs you to press the temp against what you are attempting to light and then it blasts the area with super heated air – no flames are coming out of this – and once it begins to spark, pull away a few inches while continuing to use it. After about 60 seconds you’ll be ready to cook. The Looftlighter retails for $80. 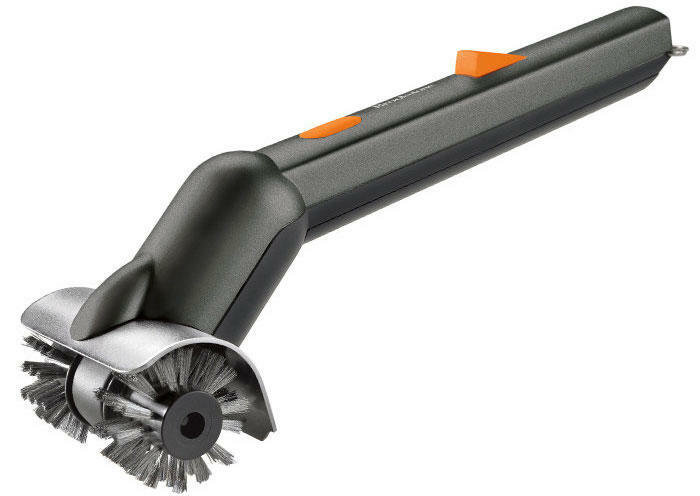 Is a steam cleaning brush not enough as you don’t want to put any elbow grease into cleaning the grill? 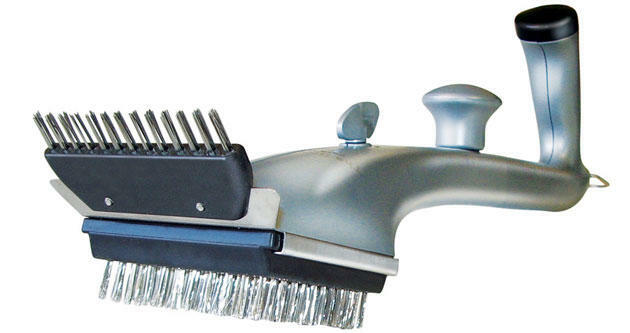 Then you may want to check out the Motorized Grill Brush. 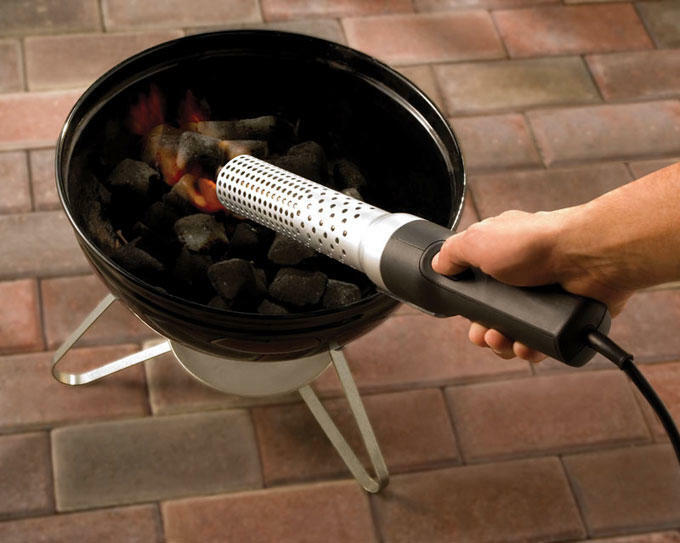 Using 8 AA batteries, this brush will not only apply steam to loosen up the grime on the grill, but it will also brush for you while all you have to do is push button. At $35 it isn’t horribly over priced, but you may go broke keeping it supplied with batteries. When you’re into technology like we are, a standard BBQ tool set just isn’t going to cut it. That’s why we’d turn to something like the National JLR Gear 17-pc. 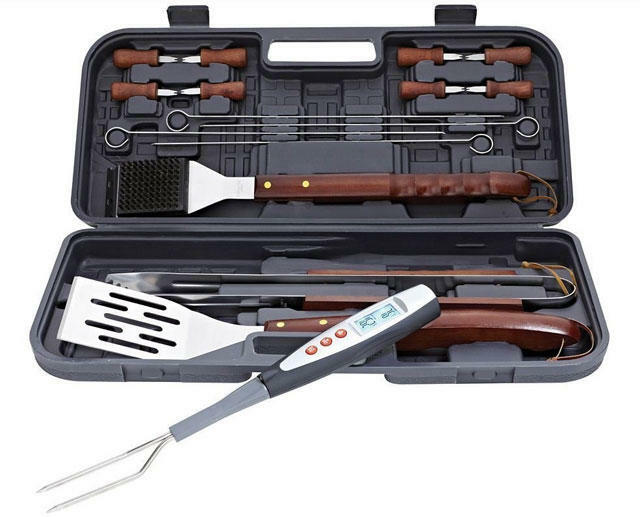 BBQ Barbecue Stainless Tool Set as the fork has a built-in digital thermometer. Who needs a separate tool just to check how done your meat is? The National JLR set sells for $40, but prices vary.